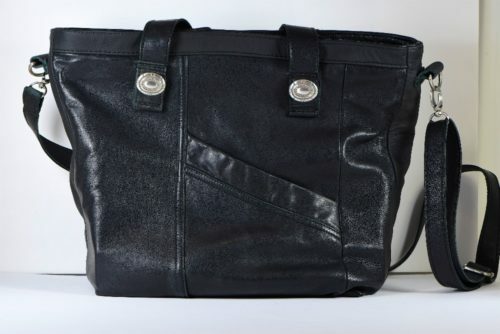 This one-of-a-kind bag is made from a discarded leather jacket. It has an upcycled cotton dress shirt as lining; outside pocket. 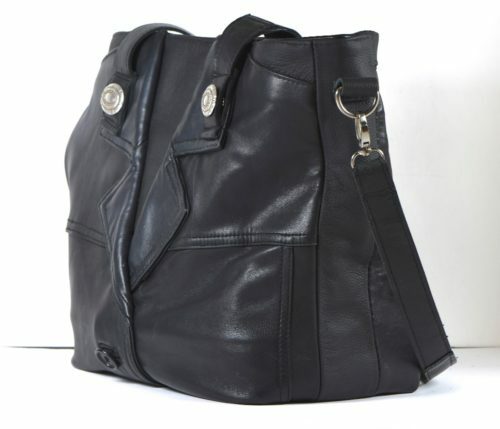 The bag can be used as a tote, but also has a removable, and adjustable, cross-body strap. 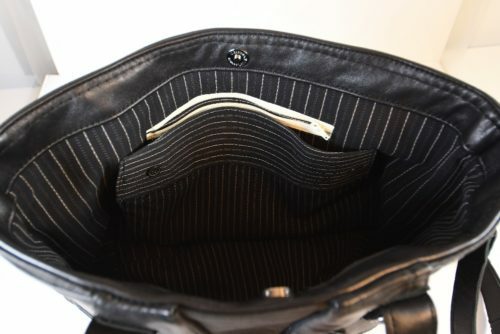 A bag purchased from Revive Leatherworks keeps items from the landfil. Local, second hand stores, within 10kms. Revive Leatherworks formally began this year (2017) with the goal of reducing the environment footprint that is being made by fashion today. We take unwanted, and discarded leather gaments and upholstery and turn them into one-of-a-kind items, making them useful again, and keeping them from the landfil.